We celebrated Oscar’s second birthday last weekend. 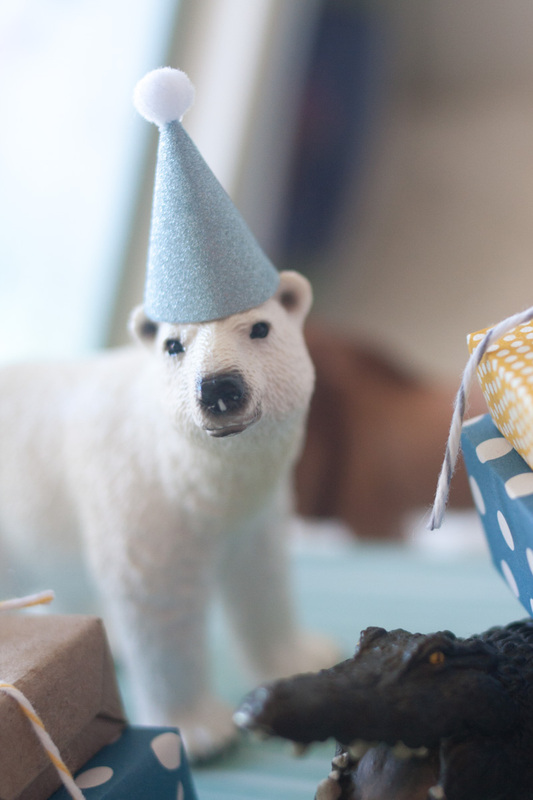 I made tiny party hats and wrapped miniature presents for a whole slew of little animals, and I sewed a second annual pair of birthday Art Museum trousers. 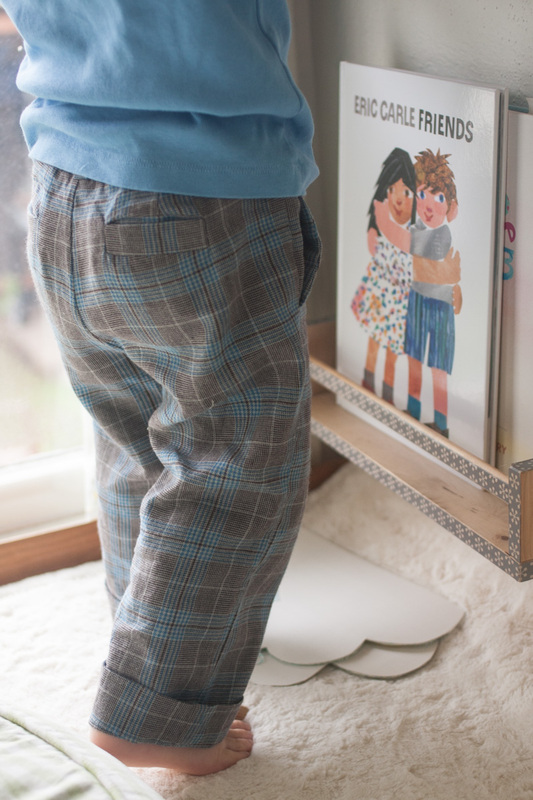 I still haven’t done a whole lot of boy sewing, but I think these little trousers are my favorite in that category. I’m not sure what it is exactly, but they make my heart flutter. I kinda want to write Liesl a love letter for making this pattern. Last year I made these pants in size 6-12 months, and this year I skipped over the next two sizes and made a 2T. With Lila I always preferred that clothes fit correctly at the time I made them – it took her forever to grow out of anything. 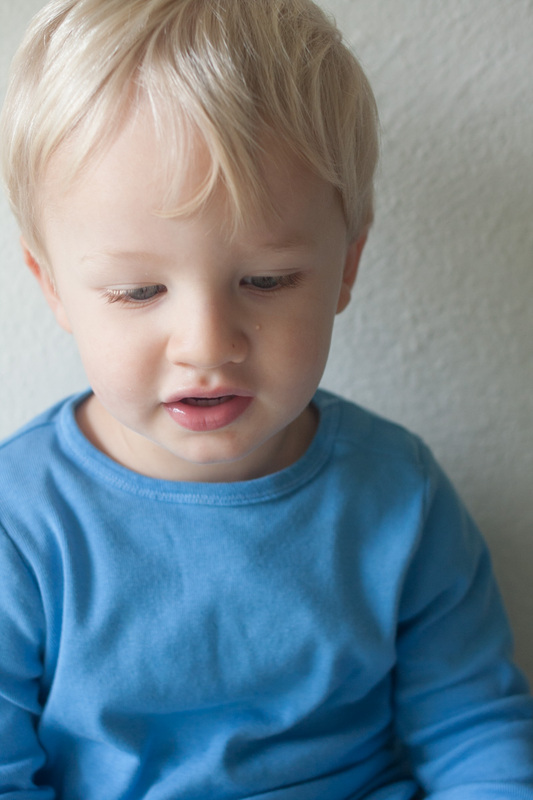 This kid is a different breed, though – nothing seems to fit for more than a couple months, so roomy is fine by me. 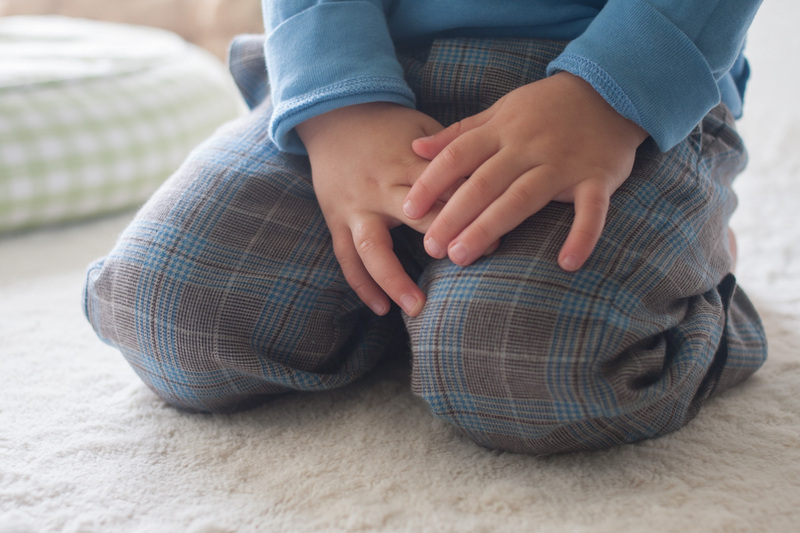 These pants do run really long – Oscar is off the charts for his age in height, and I hemmed them up an extra half inch and still had to roll them once so he won’t trip. I became obsessed with making this plaid version after spotting a toddler in the wild wearing a very similar pair – I knew I already had the perfect pattern to replicate them, and I’ve been on the lookout for the right fabric ever since. 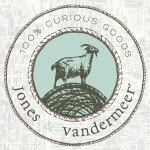 I ended up finding it locally at Bolt – it’s a wool/cotton blend, really soft, just what I was after. 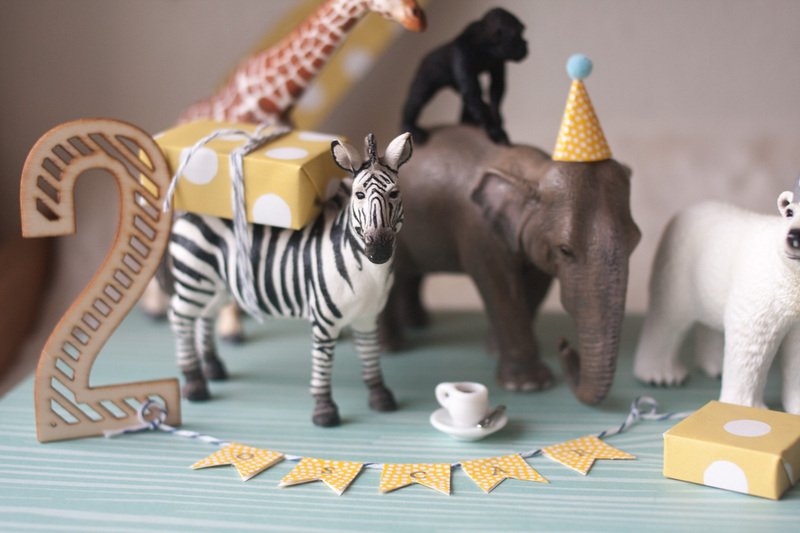 As for the hat-wearing, gift-bearing animals, they were inspired by this Oh Happy Day post and this pin – I downloaded the tiny party hat template from here and bought a bunch of Schleich animals to do it up right. They were a bit of an investment, but I knew they’d have great play value long after the party, so I considered them a birthday present for Oscar. 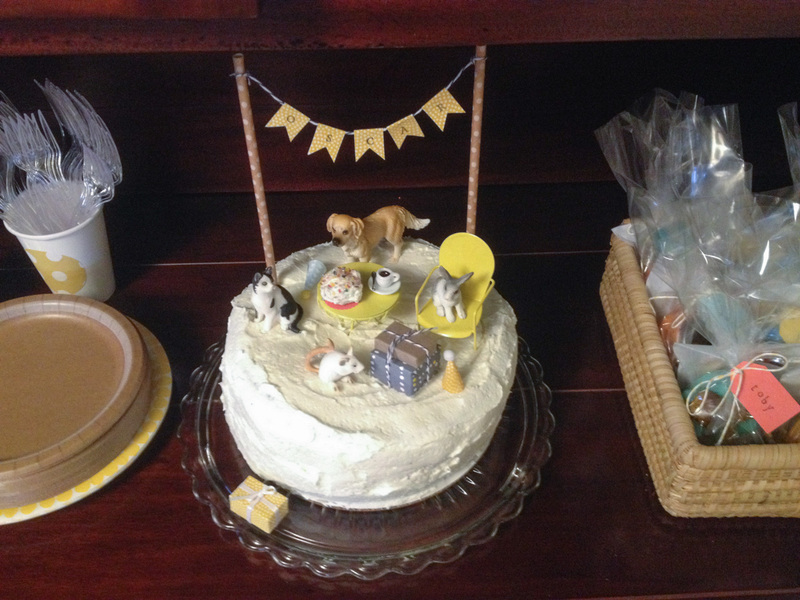 My blog idol threw a second birthday for her daughter a few weeks before Oscar’s, which led me to this amazing cake. Mine was a little sloppy, but same idea. I still swear by this chocolate cake recipe, but this year I tried Alicia’s Cloudburst Frosting recipe – it was deeeee-licious. As you can see from the two above, I managed to get zero decent photos from Oscar’s party, which I will just blame on the weather and daylight savings – it was dark all day! Oh well. 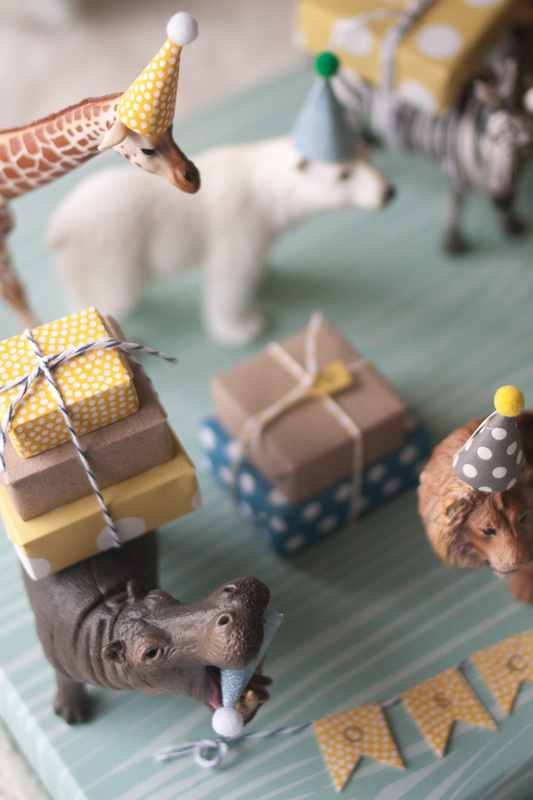 The whole animal thing was by far the most fun I’ve ever had in terms of birthday prep. And that’s saying a lot, because I do love party prep. Happy second birthday to you, sweet Oscar. Your dance moves are second to none, and you are a complete and utter joy to have around. Blue and brown are one of my favorite color combos–the pants are awesome. Happy Birthday! What a beautiful party and boy! Looks like it was a fun time! Thanks for the great links and ideas! We just traveled to Africa last summer and thinking the animals would make a fun and memorable Xmas decoration for us too! Were they hard to find? 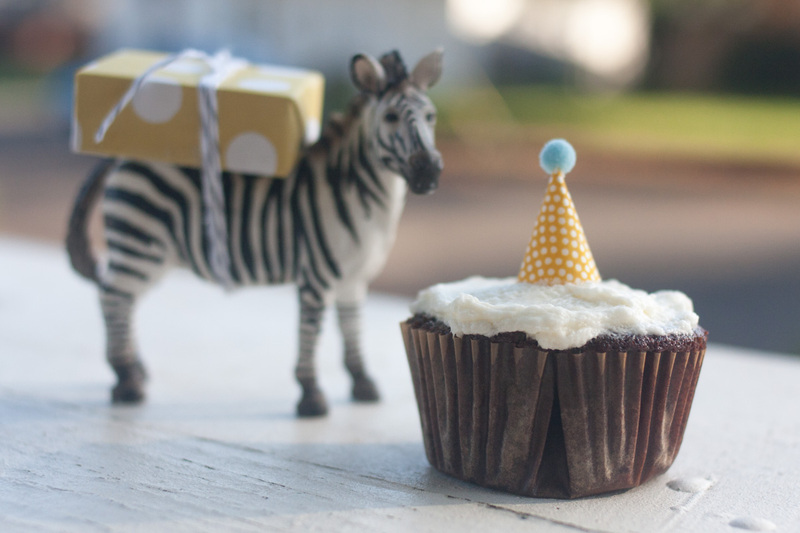 happy birthday to your sweet new two year old:) You pretty much rock the party scene – that animal celebration is perfection! The best! I think I will totally copy everything you have done for Harvey’s number 2 next year! I love the pants and I love those animals! And isn’t Alicia such an amazing inspiration. Of course, you are an amazing inspiration as well! 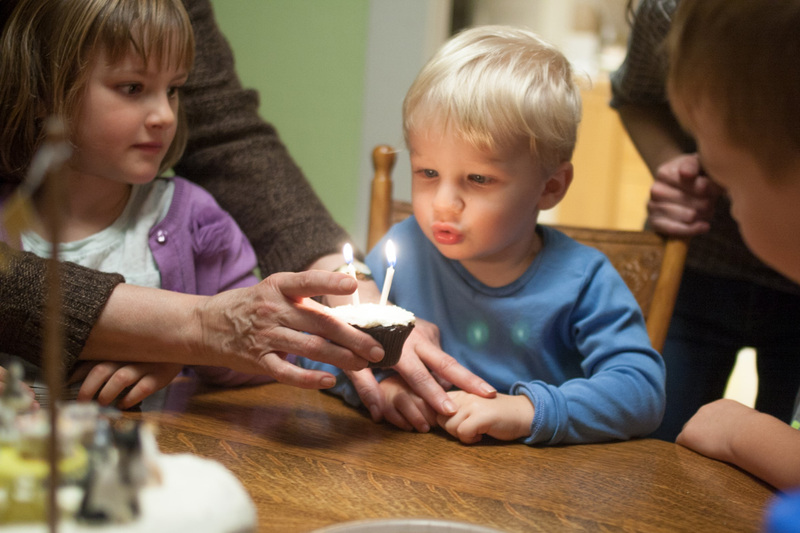 What a beautiful birthday celebration- happy two years to Oscar! Aw Oscar, two already?! Happy birthday, buddy! Love the pants, love the animals, what an adorable party. 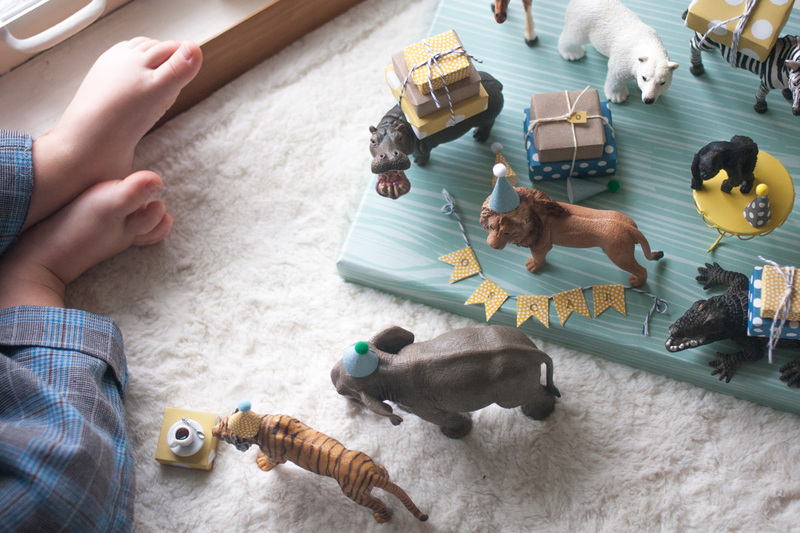 Schleich toys are worth every penny – we’ve been buying a couple as stocking stuffers each Christmas and they’re the best. Feel like I haven’t seen him in a long time, we need to get together! Congratulations with your son’s birthday and with the awesome party. My kids would love those small animals bringing gifts, amazing! Oh, those animals… my girls have a few (lots of them, really) and they still play with them (they are almost 6). It’s worth the investment! Those animals in party hats and toting presents, eek, I would love that for my birthday 🙂 I also like your birthday tradition, such dapper looking pants! Happy Birthday to your Oscar! happy happy birthday oscar! love the trousers gail. i just got the pattern and adore your version. Aw happy birthday oscar! And those pants are so adorable! I want to make some for my boys now. You are so tempting me to buy that pattern! Love all of it Gail! 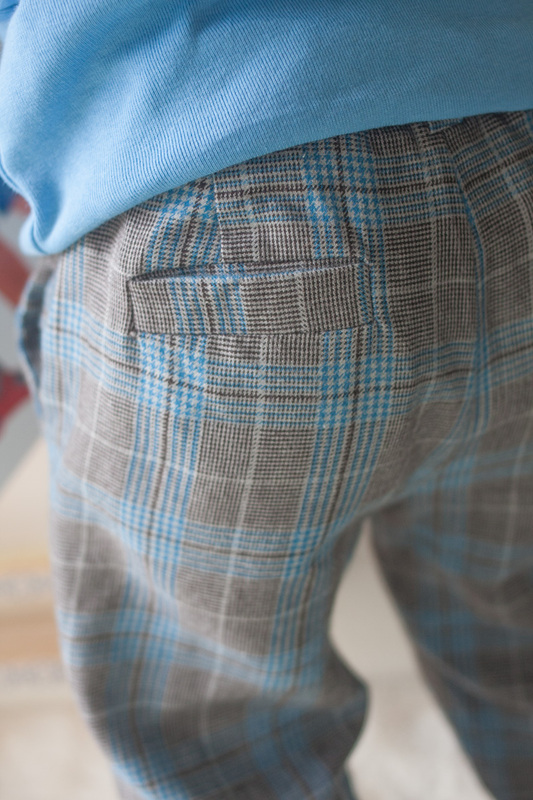 Those plaid pants, oh my – so adorable. And great idea on the re-usable cake toppers. My kids love playing with animals like that, they’re especially great for playing in the bathtub! Happy bday little Oscar! This party and those pants are both the cutest! I had to laugh – I was planning Iris’ Scooby Doo party when Alicia posted about her daughter’s party. I pretty much felt like I was throwing the tackiest party in the world. You are the queen of parties, Gail. on November 11, 2014 at 6:15 pm | Reply Melissa Q. That is such a styling bday party. I kind of want those little animals for my own party! Maybe New Year’s this year will require party-hatted critters. Oh Gail, I had to come back to tell you I tried the cake recipe that Alicia linked to for Iris’ birthday, mostly because it’s vegan and Tia is allergic to eggs, dairy, peanuts, and bananas (boo, i know!) and let me tell you, it was amazing! So amazing, I woke up in the middle of the night starving after nursing and walked into our garage where we have an extra refrigerator to get a piece. Then I promptly ate it, alone in the dark at around 4am. why am i not surprised?? i’m pretty sure alicia could never ever let you down! i’m going to have to try it, thanks for letting me know! Those miniature party hats. What more can I say?! Great post, awesome photos and fantastic cake! wow…! Hello there! I love the whole party idea and items! May I ask how you managed to have the hats stay put on the animals’ heads? Thanks in advance!! Thanks Jenny! I stuck a piece of double-sided tape on the animal’s head, then put the hat on top. It wasn’t perfect and worked better on some heads than others, but overall it held them on pretty well. Beautiful party! Congrats to your little boy 🙂 May I ask you where you bough the wrapping paper and the little balls for the mini-hats? I can’t seem to find them anywhere… Did you use wrapping paper for the hats or card stock paper? Thanks so much! so sorry i missed this! the little balls are miniature pompoms, from Joanns. and i used wrapping paper for some hats, card stock for others – the card stock holds up a little better but they both work! Such a cute party idea! I love it. Where did you find the yellow polka dot wrapping paper? Thanks 🙂 It’s from Paper Source! Can I ask where you got the balls for the top of the hats? 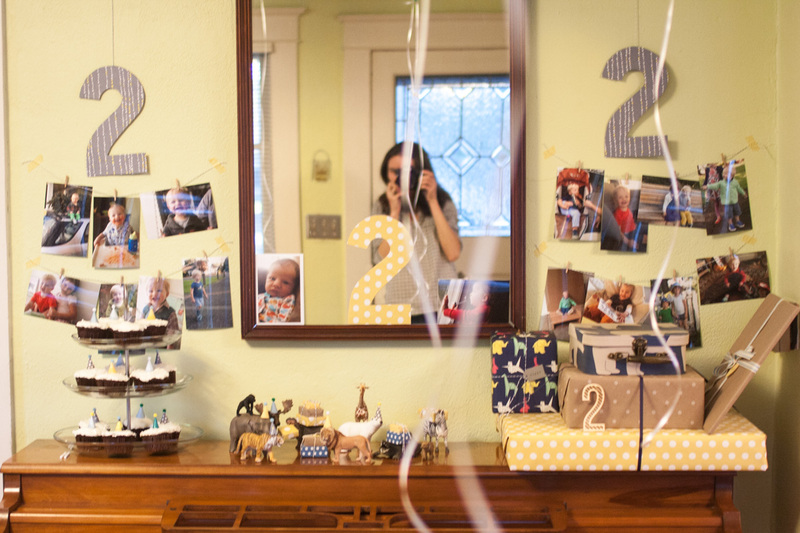 Your party is adorable, and I’m so inspired by your party prepping! My son is turning 1 and I am doing a “party animal” theme. I purchased a bunch of schleich animals as you suggested and am concerned about glueing the hats to the animals. Will that ruin them (as you said, they are an investment)? What was your experience and how did you get the hats to stay on the animals without damaging them? Thanks for your help! Thanks Kala! 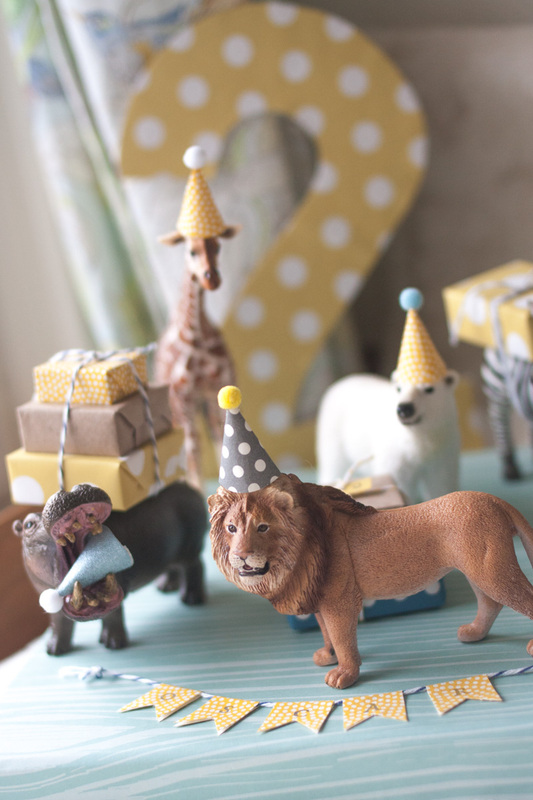 I used little pieces of double-sided tape to stick the hats to the heads – they weren’t totally secure but since the animals were just on display and weren’t being moved around, it worked for the party. hope that helps! such an adorable little party! I am doing an animal parade theme for my daughters 2nd birthday. So fun! I am curious where did you find boxes small enough to put on the animals? Having trouble finding them. Thanks! oops found the answer above. thanks! Hi beautiful birthday pictures! So fun! What size boxes did you use for presents? I’m trying to find some and having the hardest time. I just wrapped up small wooden blocks – if you have a set of those, they’ll work well! Could you please tell me how big these plastic animals were ? I’m in search of ones like them but cats for my sons 5th birthday party. Thank you so much 🙂 very cute idea ! This is just the sweetest! !